Tonga is one of the few places on the planet where you can legally swim with humpback whales. 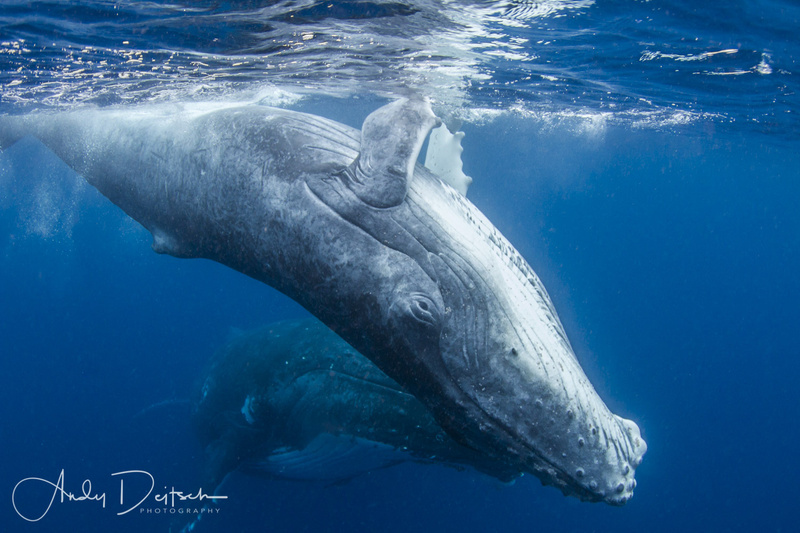 Humpbacks migrate to the warm waters of Tonga to give birth and raise their calves in preparation for the long migration to the cold waters of the Southern Ocean. This baby humpback is coming over to check me out as mom looks on.